Jonas or Look-Alike? - NJB JimdoPage! Here at NJB, we often come across photos that look like they could be a Jonas, but we have no proof that it is or isn't. So we are now going to post those pictures here, for you all to tell us what you think! If you think you know if a picture has a Jonas in it or not, comment below or feel free to tweet or email the picture and your answer to us at @NicholasJBway (Twitter) or rmh.njb@hotmail.com! Also, if you have pictures that you think might have a Jonas in it, don't hesitate on sending it to us! We can post it here! New pictures will be posted at the bottom of the page, below the others. There are 4 items at the moment. Tip: instead of scrolling all the way down, you can press the 'end' button on your keyboard! Thanks to a Flickr buddy, JonasBros2011! This one was found in a search for "Eastern Christian School". Since it was not found by us, we cannot tell much. 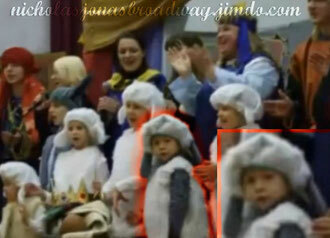 We think that the little boy dressed as a lamb looks like Nicholas. What do YOU think? This does look a lot like little Nick. He has the same smile and everything I think this one is probably him. I just reminded myself that Nicholas was in 'Mr. Brooks Goes To Bethlehem' and I'm thinking that this picture was taken while they performed the show... And this kid looks a lot like Nicholas so for me it's a yes! have the same smile and everything I thought it might be him. This is a commercial for Disney World and etc, featuring, in the beginning, boys that look like Joe, Nick or even Kevin. 1- This video was recorded in 1999, Kevin was eleven going on twelve, Nick was six going on seven. The boy looks around 6-8 years old. 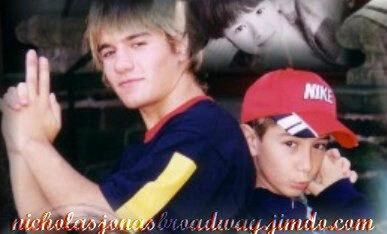 2- Nick and Kevin DO look alike, they are brothers! The one that really makes me think this is a Jonas is because the boy in the blue in the back looks so much like Joe. He has the same smile and everything. I really think this could easily be them. The boy in the blue kind of looks like Joe. I was 3-4 when it was recorded. Picture found on Shirley Grant's site. Do you think the little boy looks like Nicholas? no, this is definetly not nicholas.. like, impossible. A possible Joe picture! 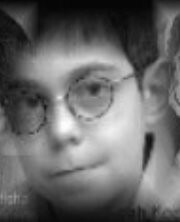 This one was also found on the SGM site, in a collage with various headshots of different kids.